We provide our clients with an array of Bagasse Bale Breaker. Our products range of Bagasse Handling System are well-known for their flawless quality, durability and high-end performance. 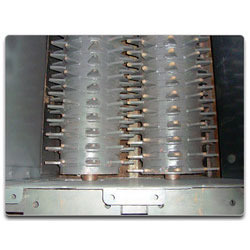 The products are widely used for handling of coal. These products are highly demanded and can be availed at affordable prices. 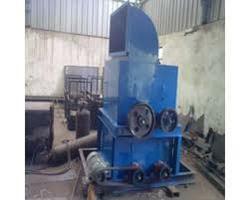 We are engaged in manufacturing superior quality Bagasse Bale Breakers. These are extensively used to handle coal and are renowned for their various attractive features such as durability, high-end performance and flawless quality. Due to these characteristics, these are highly appraised and demanded amongst our client base. We are successfully meeting the requirements of our clients by manufacturing the best quality range of Bale Conveying System. We manufacture bale breakers for breaking of bagasse bales. We offer single stage and double stage models. The available capacities are from 1 TPH to 15 TPH. We are offering to our valued customers a wide assortment of Bale Breaker 10 to 20 TPH. Our products are well-known for their flawless quality, durability and high-end performance. Bagasse Bale Breaker Supplier & Manufacturer of Bagasse Bale Breaker. Our product range also comprises of Bucket Elevator and Feed Hoppers. New Tech Engineers Design and Supply Bagasse Bale Breaker for breaking of bagasse bales. Our system is of Single Stage ( 2 Rotor) and Double Storage ( 3 Rotor) models depends upon capacities. Available capacities are from 5 TPH to 40 TPH. Crystal Sugar Engineering Services Pvt. Ltd.